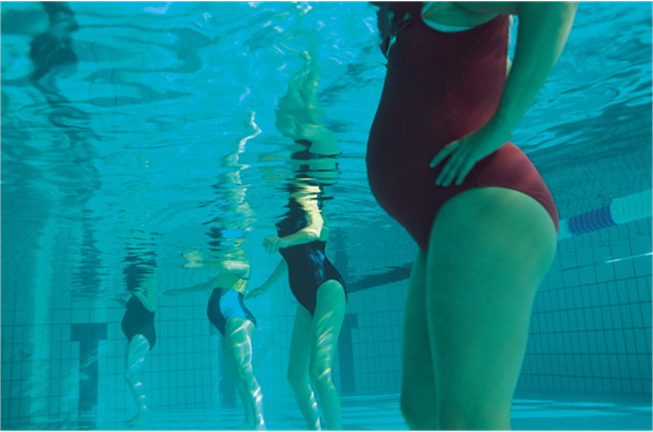 Water based exercise specifically designed for pregnant women from 12 weeks gestation onwards. Run in our heated onsite pool and attached to our Physiotherapy and Pilates studio, our pregnancy aqua classes are ideal for maintaining posture, strength and flexibility as the body changes throughout pregnancy. With all classes conducted by an experienced Physiotherapist, contact us today to start safely exercising in the warmth of a heated pool while enjoying all the benefits of buoyancy assisted movement. Classes are $25.00 per session and private health fund rebates are available. Please click here to download the Class Registration form. Class time is from 6pm – 7pm on Wednesdays. Please call us on 9446 3833 to book your place.